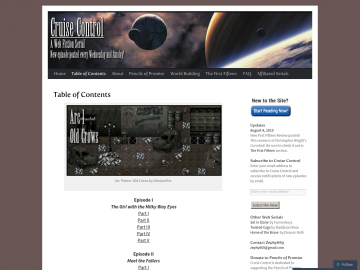 "Cruise Control is a teen speculative web fiction serial, updated every Wednesday and Sunday." Cruise Control has not been tagged yet. Help others find Cruise Control by tagging it! Cruise Control has not been reviewed yet. Cruise Control has not been recommended yet.